Despite news headlines suggesting voters are evenly split when it comes to surrendering Colorado’s presidential votes to the whims of more populated states like California and New York, Coloradans don’t really like the so-called popular vote movement. A Magellan Strategies poll of 500 likely voters in 2020 shows 39 percent of voters have an unfavorable opinion of the recently passed law, while 34 percent favor it. There’s also 27 percent who have yet to form an opinion of the so-called Popular Vote Law, which was rushed through the legislature and signed last week by Gov. Polis. Not surprisingly, Republicans were less likely to support it than Democrats. 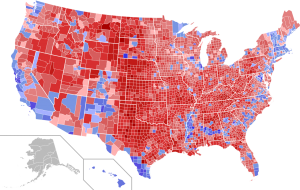 Democrats tend to favor electing presidents by popular rather than electoral votes, the poll said, because they think it gives their party an advantage, and therein lies the problem. What they fail to take into account, this goes both ways. When a Republican wins the popular vote, Colorado would still have to surrender their votes, even if the state had elected the Democrat. Thankfully, independent voters aren’t falling for the scheme, with 48 percent saying they would vote in a recall to overturn the law, and 44 percent said they would keep the new law. Meanwhile, 81 percent of Republicans said they would vote it down if given the chance, along with 14 percent of Democrats. A recall of the law just so happens to be in the works — the Secretary of State’s office approved a petition for a ballot measure on Friday. Read more about that here. To find out more about the petition and how to sign, click here.